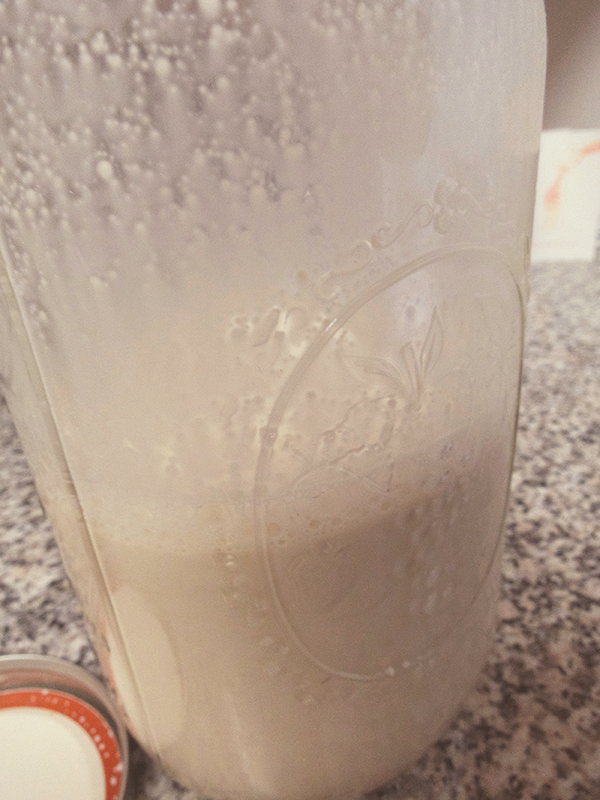 I am almost embarrassed to say that I have never made almond milk myself. Especially now that I have done it (for three weeks in a row!) and realize how stinking easy it is! I have been drinking almond milk for several years now-not because I am vegan or don’t consume dairy products, but because I like to be choosy about what dairy products I consume and if I can substitute something even more healthy (and delicious) into my daily life, then why not!? Plus, I can’t even imagine my iced coffees tasting half as amazing as they do with almond milk. 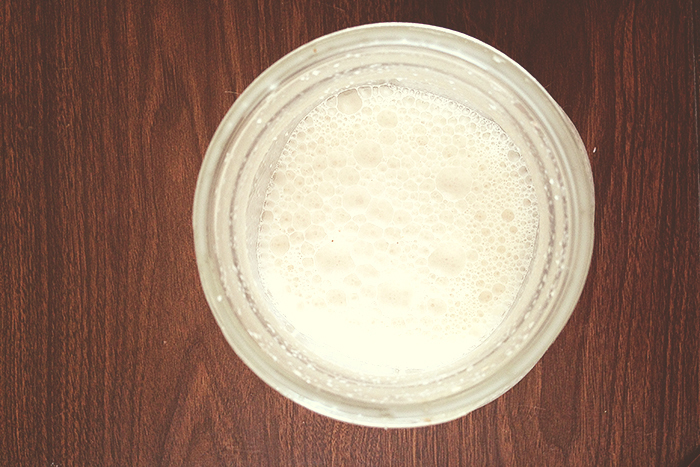 So, here is a quick recipe and break down to make your own almond milk at home. Please don’t wait as long as I did-it’s too good to miss out. 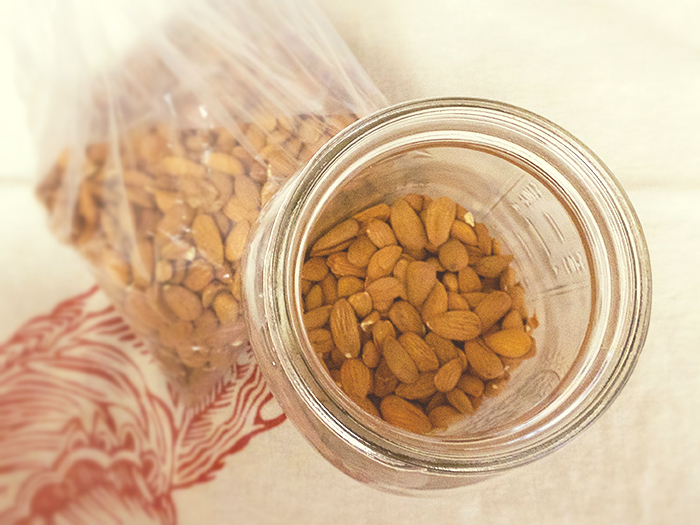 Put about a cup worth of almonds into a container with enough space to allow for water to be added. 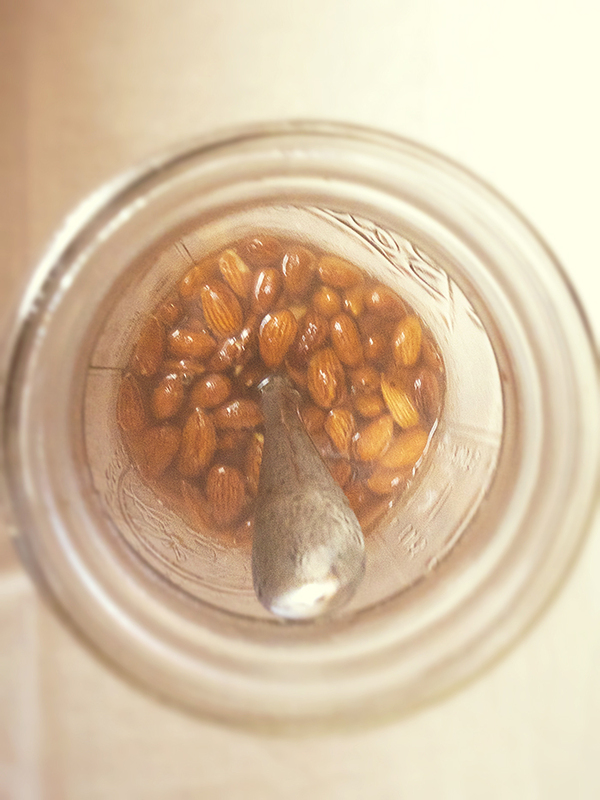 I chose to pour boiling, filtered water over the almonds since I didn’t want to wait a full 24 hours to let them soak. If you have the time then go ahead and let them soak overnight. 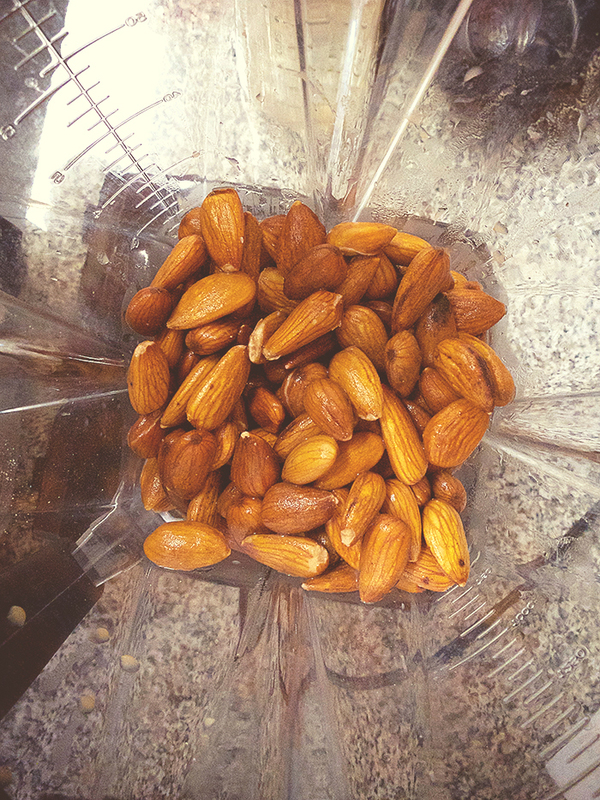 Drain the water from the almonds and put the soaked almonds in your blender. I use a Vita-Mix blender but any strong blender or food processor will work. The first time I made the milk I used cheese cloth as pictured here, but there are also nut milk bags that are a bit easier and allow for reuse. 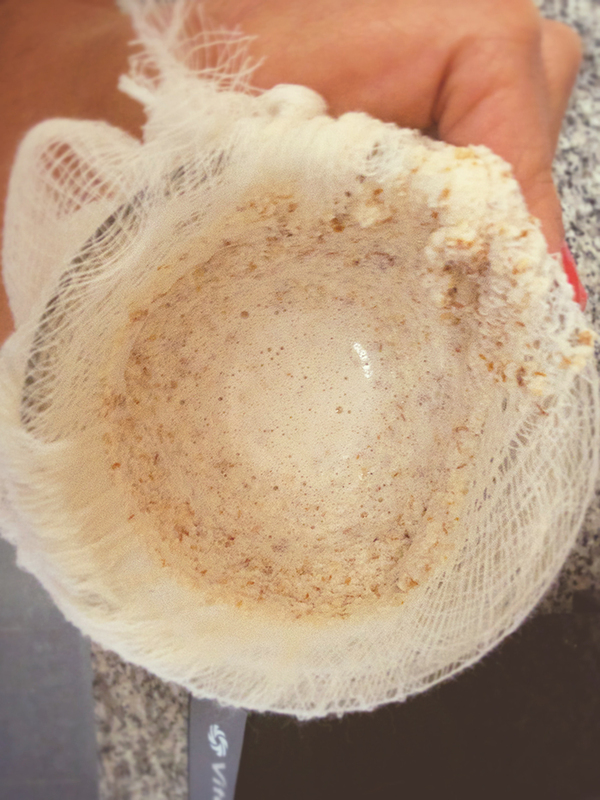 You pour the almond milk and pulp into the bag or cloth and let it drain into a jar or bowl. I used a large mason jar, which I was then able to seal and refrigerate the milk in. Make sure you squeeze out as much milk as possible. You will be left with a lot of almond pulp. I am still trying to find a great recipe to use it in and when I do I will post a recipe for that as well! Step 5: Close up your container and refrigerate. You should be left with a glorious creamy, white milk in your jar. 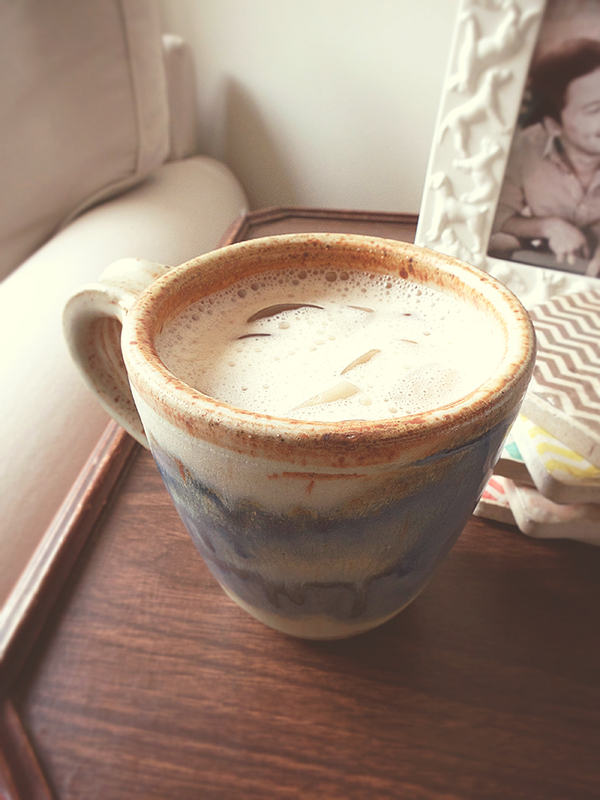 Last but not least, enjoy your almond milk as your prefer-in your coffee, cereal, or just on its own! I didn’t add anything extra to mine and found it to be perfect but if you choose, you can add a vanilla bean, a pinch of sea salt or even some cinnamon! Can we have a nut milk party?! Pulease? !